Box of dropper tip plastic bottle, net contents 5 ml. 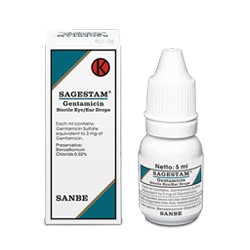 SAGESTAM is indicated for the treatment of infections of the external structures of the eye and their adnexa caused by susceptible bacteria to Gentamicin. 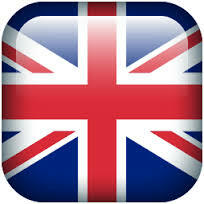 It is not recommended for prevention, since the causative microorganism is unknown. SAGESTAM is also indicated for the treatment of external ear infections (otitis externa) caused by bacteria susceptible to Gentamicin. Instill 1-2 drops into the affected eye(s), 6 times daily (every 4 hours). Frequency of administration may be increased if necessary. Severe infections may require 1-2 drops every 15-20 minutes initially, reduce the frequency of instillation gradually to control the infection. Instill 2-4 drops into the affected ear, 3-4 times daily(every 6 hours) and at night. The patient should lay with the affected ear turned upward and remain in this position for several minutes after drops are instilled. In the treatment of either eye or ear disorders after a favourable response is obtained, reduce dosage gradually and discontinue once cure is achieved. - In severe eye infections, topical use of Gentamicin should be supplemented with appropriate systemic treatment. - Prolonged use of Gentamicin may result in the overgrowth of nonsusceptible microorganisms, including fungi. If superinfection develops, treatment should be discontinued and appropriate therapy should be instituted. - Discontinue treatment if irritation or sensitization develops. - Cross-sensitivity with other aminoglycosides may occur. 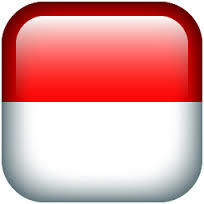 - Safety in children under 6 years old and pregnant women have not been established. - It should not be given to nursing mothers. - Contact lenses should be removed during the period of treatment. - To avoid contamination, protect the tip of the container from direct contact with the eye, eyelid, or any surface. - It may cause transient blurred vision. If this effect occurs, do not drive vehicles or operate machinery. - It is not for injection.